Yesterday was the opening day of the annual Win Mumby Basketball Tournament. 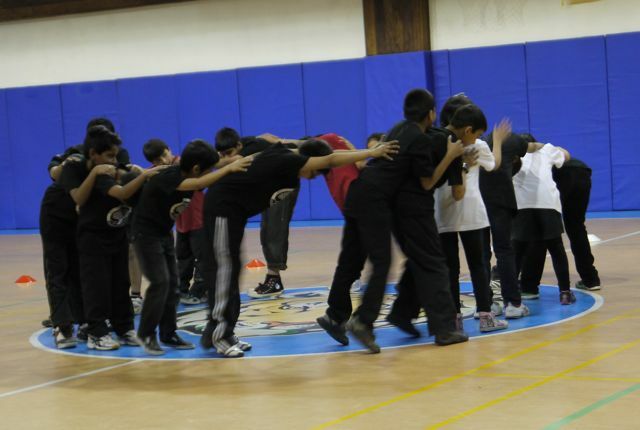 Nine boys' teams and eight girls' teams are participating. 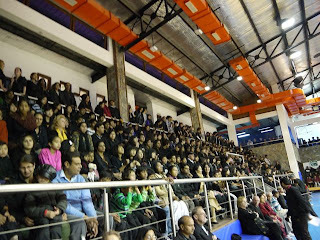 Many of the schools are in Mussoorie or Dehra Dun, but some are from as far away as Delhi, Patiala (in the Punjab), and Nainital (another hill station). This is the second tournament that has been held in our new gym. 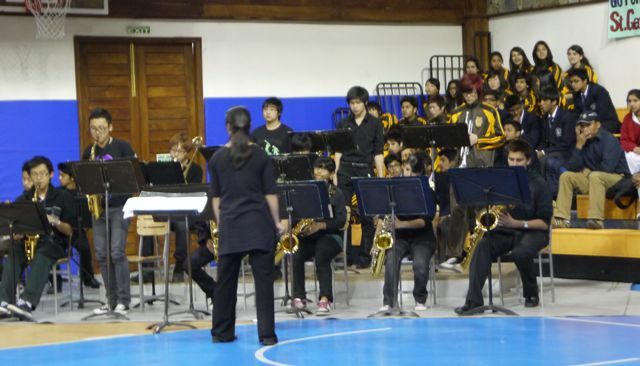 This gym was dedicated in the fall of 2009. If you are new to this blog, here is my post about that event. The games continue through Saturday, with the semifinals in the morning and the final in the afternoon. 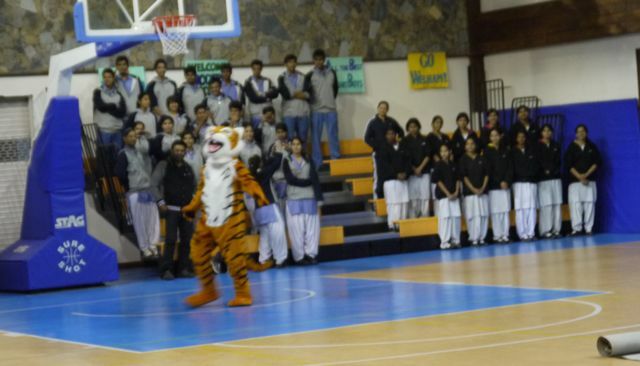 We hosted a pep rally for the whole school and the visiting teams after tea (4:00). 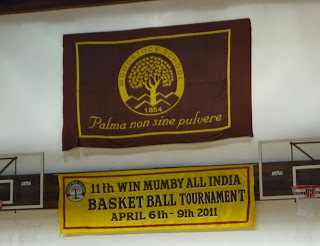 "Palma non sine pulvere" is the school motto -- "Palms come from striving." 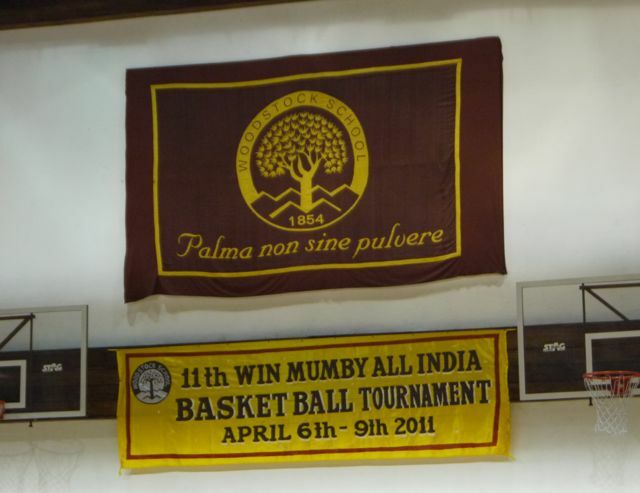 A nice banner for this, the 11th tournament, was below the permanent motto hanging in the gym. 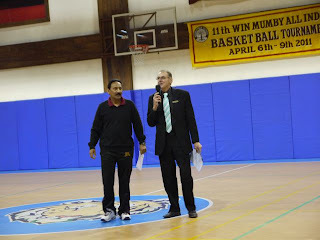 Dr. David Laurenson, Principal, and Ajay Mark, Head of Athletics, officially opened the tournament and welcomed the visitors. 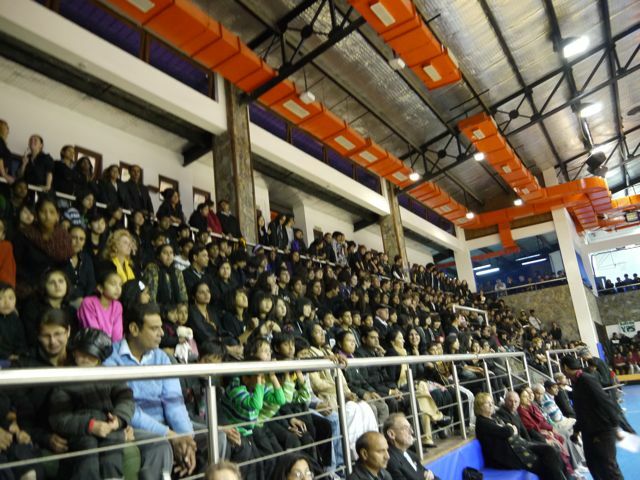 Our students and staff filled the main bleachers. 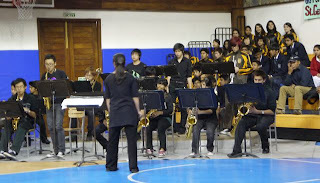 The Jazz Band performed before the rally got started. 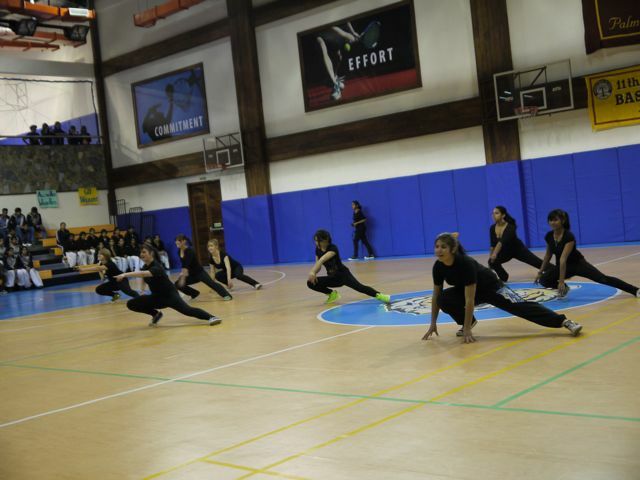 A group of high school girls performed an energetic dance with elements of gymnastics. Grades 3 and 4 performed an interesting dance, too. At the end the group lay down on the floor and formed a large W (for Woodstock, of course!). 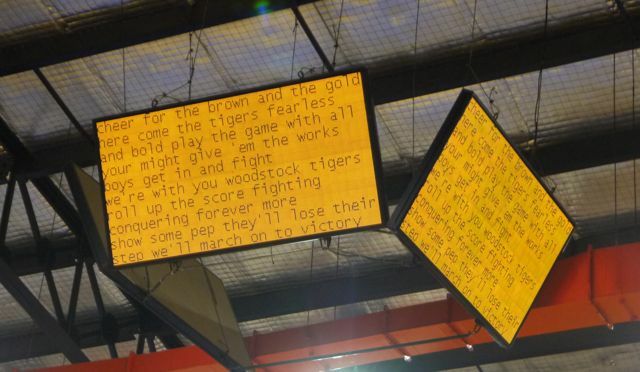 For the singing of our school song, "Shadows," and our fight song, "Cheer for the Brown and the Gold," the words were projected on the displays near the ceiling. Our fight song uses the tune from Notre Dame; a probably apochryphal story has one of our students arriving in the US only to find out that Notre Dame had stolen "our" song. If you search "Woodstock School song" on YouTube.com you can listen to several different renditions at reunions and gatherings. 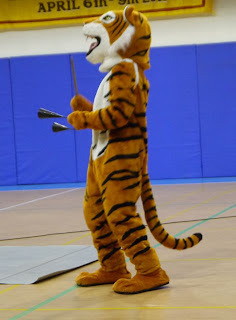 The Tiger mascot suit made its debut at the Gym Dedication 18 months ago and is brought out on suitable occasions. The kids love the Tiger! You can see some of the school teams on the side bleachers in this picture. They filled both ends of the gym.